I do not play a father on TV, but I am one in real life. Am I an expert? I don’t know . . . ask me again in thirty years. But I have been given a lot of parenting advice (from books, online, family and friends, or even unsolicited from complete strangers). Most of the advice I’ve gotten is great. Some of it has been not so great. And just so we’re clear. I have tried (whether deliberately or accidentally) all the things on this list. They didn’t work for us, and I doubt they’ll work for you—especially considering that parenting is a marathon and not a sprint. Here are the seven things I would advise you to avoid when raising a toddler. You see the shoulders lift and the hands clench. A tantrum is imminent. “Quick! Look at that butterfly! Wow!” Crisis averted. I see this offered as advice all over the place—and my wife and I are fairly guilty of it ourselves—but distracting your toddler right before or even while he’s having a meltdown solves approximately nothing. It is a temporary fix at best. Avoiding conflict is almost never the correct course of action. If you’re in public, it’s an opportunity to work on your “parent shrug.” I’ve perfected mine. Sometimes this advice is dressed up as “pick your battles,” but it boils down to caving and letting your child have their way. Parenting is hard. But when you are really struggling, find comfort in this thought: If this isn’t the hardest thing you’ve ever done, you’re doing it wrong. When you give in, what you are really doing is avoiding conflict. You say, “No! You cannot have another cookie.” And then your toddler cries and cries and—OMG! Look at that pouty face!—and your heart melts, and you have a headache anyway . . . what harm can one more cookie do? A lot of harm, actually. Kids, even toddlers, will learn how to manipulate you to get their way from a very early age. Giving in is a short-sighted solution. Stay strong! I hear this one thrown out a lot, and I think it—like most parenting advice—comes from a good place. Basically, the advice is to “survive.” Being a new parent (especially a mom) is incredibly difficult. 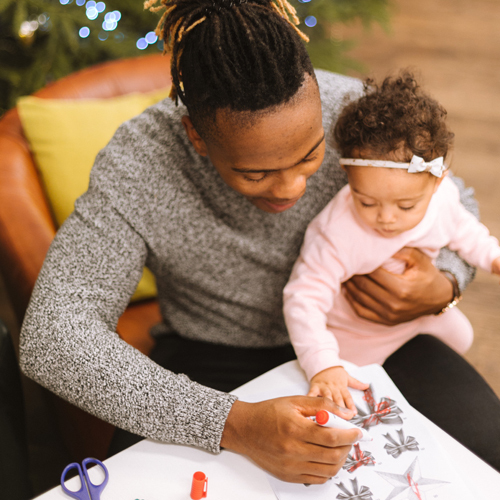 So, in an attempt to empathize, you’ll hear someone say, “Just do whatever it takes to get by.” This usually means using phones, tablets, and TVs to distract your child, or giving in to a tantrum for a moment of peace, or even keeping your baby out past her bedtime so you can enjoy some social time. Parenting is not about doing whatever is easiest. It is about doing whatever is best for your child. This is usually—so it goes—whatever is most difficult. Sitting your kid in front of the TV for eight hours a day would be an amazing break, but at what cost? Feeding your kid chicken nuggets and M&Ms will stop her crying, but is that really what you want fueling your little one’s growth? I absolutely love helping my daughter. Sometimes, when I watch her try something new, I secretly hope she fails just so I can help her. It doesn’t make me a bad dad; it makes me a human. Because for that small moment, I get to be Super Dad and save the day. I am needed. I am a hero. Your son or daughter needs to know—deep in his or her bones—how great a person he or she can truly be. Learning to succeed as well as to fail is part of that process. But do you know what’s truly heroic? Letting your child fail. It’s so hard watching while you could be helping, but you should generally never do for your kid what your kid can do for himself. Otherwise, you are only stunting his ability to grow into a person of possibility. Your son or daughter needs to know—deep in his or her bones—how great a person he or she can truly be. And learning to succeed as well as to fail helps that process. This can never happen if you are doing everything for them. In our house, sweets are never used as a reward or as a punishment. We believe doing so puts too much emphasis on the treat instead of the behavior. Sweets become forbidden fruit. Or, maybe, forbidden Fruit Roll-Ups? Best case scenario, your toddler will behave how you want them to only for the reward (i.e., no reward, no good behavior). Worst case scenario . . . diabetes (okay, maybe that’s a bit histrionic, but consuming too much sugar is a nasty, unhealthy habit). I know it can be tempting to use something your kid loves to encourage (or discourage) behavior, but in the long run, it’s just another form of conflict avoidance. Instead of using conflict as a chance to teach your child about how to behave and why, you avoid the conflict and teach your kid how to act in order to get a lollipop or piece of chocolate. Reassure your toddler by showing you are in control. This will comfort your child. Reassure your toddler by showing you are in control—of the situation and of your emotions. This will comfort your child. And though he will definitely test you again, he needs to know that you are in control and that you aren’t going to flip out at a moment’s notice. Flash forward to the next day. Little Jessica is coloring with her markers. Your phone chimes. You’ve got a new text. You go check your phone, but when you return, you notice little Jessica has drawn a horse on the wall. “Jessica!” you shout, thinking to yourself how in the world she could do this again one day later. See what happened? Because you were distracted and unable to catch her in the act of drawing on the walls, she might mistake what she is being punished for. The mom in this example thought she was scolding her child for drawing on the walls; the little girl thought she was being punished for drawing a rainbow. Act immediately. If the moment passes and you missed it, then . . . oh well. Just shrug your shoulders and move on. You’ll get plenty of other opportunities soon. So what do you think? Agree? Disagree? What is some of the worst parenting advice you’ve heard? Let us know in the comments! And, if you’ll indulge me with one final word of encouragement, I’ll say this. You are going to fail. You are going to fail hard and majestically and often. That’s okay. 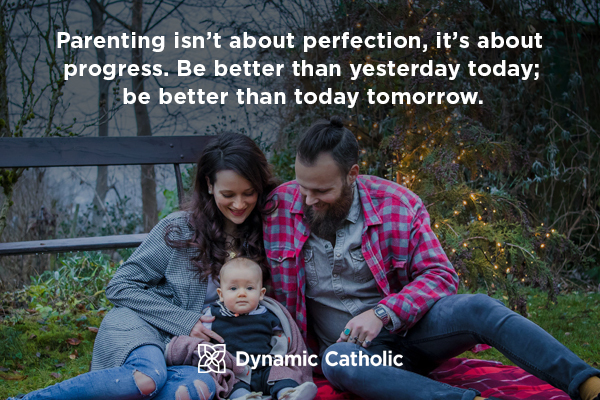 Parenting isn’t about perfection, it’s about progress. Be better than yesterday today; be better than today tomorrow.